Google's latest phones shine a light at just how good Android can be. It's true: Google's new Pixel phones aren't all that different from its last Pixel phones. Specs, features, design and overall philosophy are effectively constant between generations, particularly when you take into account that last year's Pixels have been updated to Android 9 Pie and will thankfully be receiving many of the Pixel 3's new camera features. But to dismiss the Pixel 3 for its similarity to the Pixel 2 would be to miss out on what is a great phone. Google has never been interested in adding or changing features just for the sake of doing something, and the Pixel 3 doesn't change the parts of the experience that already worked. But the Pixel 3 and 3 XL do fix much-discussed problems with the last generation, and add a few extras that enhance Google's vision for what an Android phone should be. The result is a fantastic pair of phones. A simple, powerful phone with an excellent camera and simple software anyone can enjoy using. Google's charging a lot for its Pixel 3 and 3 XL, but it's warranted. It's true these phones aren't large upgrades from their predecessors, but that doesn't change the fact that these are exceptional phones with great software, excellent performance, good displays, and standout cameras on the back and front. Ed. note: Due to the extreme similarities between the Pixel 3 and Pixel 3 XL, this review should be viewed as applicable to both phones. Specific areas, such as size and camera comments, will note in particular whenever there is a difference between the two. This is a case of evolution, not revolution. The new phones are effectively unchanged in size from their predecessors, but the finishes and materials have been tweaked and, ultimately, much improved. The Pixel 3 is actually smaller than the Pixel 2, but now has a 5.5-inch 18:9 display for roughly 10% more screen space — that means smaller bezels, which make the phone look and feel more modern. It brings the screen size up to a point where it feels like less of a trade off than previous small Pixels; I don't feel restricted by the screen size, but it's still a compact enough phone to grasp in one hand and slip into a pocket without issue. Same sized phone, but with a larger screen — while keeping stereo speakers. The Pixel 3 XL jumps to a 6.3-inch 18.5:9 display, but the number is a bit of a misnomer as its large notch and taller aspect ratio don't give it dramatically more room than the 2 XL. Everyone is focused on the notch here, but it just doesn't bother me that much. Phones just have notches now, and the number of options without them are only decreasing. After a couple days, you forget it's there. Really. But it's the improvement to the quality of the screens that's far more important than the sizes and shapes — and potentially the most important change to these phones over their predecessors in any respect. Google spent an inordinate amount of time making the displays as great as possible, and it shows. Speaking with Seang Chau (VP Engineering) and Raj Singh (Sr Director, Tech Engineering) from the Google hardware team ahead of the Pixel 3 launch, I immediately understood just how seriously Google took the displays this year, and how proud both were of the end result. Google spent an inordinate amount of time making these displays as good as possible. The OLED screens are clearly higher quality panels than before, which is a great starting point. Then Google went to work calibrating them: there was a huge focus on base-level accuracy at the panel level, and then further calibration in software to make them perform their best. DisplayMate's testing gave the Pixel 3 XL an A+ rating and ranked it among the best phone displays it's ever seen. These displays blow away the Pixel 2 and 2 XL — it isn't even close. I'm extremely impressed with every aspect of this display, except for one: brightness. Unlike Samsung's latest displays and the newest panel from LG in the V40, the Pixel 3 just doesn't reach a high enough peak brightness to be clearly visible at all times outdoors. It's dramatically better than the Pixel 2, and is good enough in sunlight, but I still found myself shading the phone with my other hand or turning away from the sun to see the screen more often than I should with a phone in this top-end category. Adaptive Brightness does a great job adjusting on its own throughout the day, but these phones could really benefit from an extra-high-brightness mode in sunlight like the competition offers. Even with the stretched screens, Google's retained its front-facing stereo speakers, and put extra time into both hardware and software so that they're even louder and clearer than before. I typically walk around the house in the morning listening to a podcast on my phone and have to max out the speakers to hear it clearly — with the Pixel 3, I don't. It's not going to obviate the need for a Bluetooth speaker for group listening, but these phones get way louder than you'll likely need in a phone — even on the smaller Pixel 3, which is perhaps 10% quieter than the larger version. This is a solid and simple design, refined and improved on ever so slightly. Picking them up, both phones feel amazing; just the right balance of heft and usability. The frames are entirely glossy now, which counter-intuitively provide more grip than the previous painted metal (your fingers "stick" to the gloss). The backs look the same as the Pixel 2, but are made of Gorilla Glass 5 instead. Roughly two-thirds of the glass surface is etched with a fine texture that mimics the painted metal of before, which isn't particularly grippy but feels fantastic and dramatically cuts down on fingerprint accumulation. The etching only covers the flat portion of the glass as well, letting the smooth part help transition more seamlessly into the metal on the sides. For me, this is the best of both worlds. You get the solid feel and texture that you'd normally associate with metal, but the wireless charging capability of glass. And yes, this means these phones will be more fragile than the Pixel or Pixel 2 — that just comes with the territory. 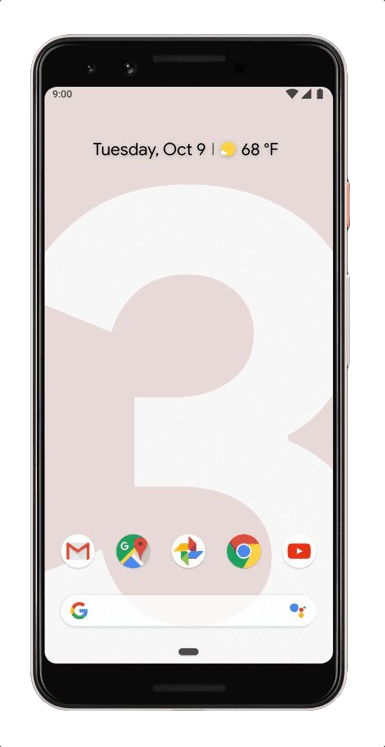 Some have panned the Pixel 3 design for being boring, but I enjoy the understated look. From phones to accessories and smart home gadgets, Google's current design aesthetic isn't flashy — the Pixel 3 fits right in with the rest of its product line in that respect. You can choose to step up the texture or color with one of its awesome knit cases, if you wish — or just stare at the contrast-colored power buttons on the white and Not Pink phones. Google's Pixel 2 is well-regarded as having one of the best cameras in the smartphone world. Google knows it's onto something good, and it's going even further with the Pixel 3. And it's doing so with the exact same formula: leaning on software processing, not hardware. Google didn't add more rear cameras because it frankly didn't need to — it thinks software is king. Google didn't add a second (or third) rear camera to the Pixel 3, nor did it substantially update the hardware itself. This is still a single 12.2MP sensor — albeit Google says it's a new version with better dynamic range — with the same f/1.8 aperture and OIS. What's different is the supporting cast of sensors, backed up by new processing. Every photo benefits from improved HDR+ processing thanks to the Pixel Visual Core. This dedicated image chip, which is also in the Pixel 2, now handles all HDR+ photos — and you'll notice up to 40% faster processing because of it. There's also a new spectral sensor to interpret various spectra to aid in color accuracy, and a new flicker sensor to help reduce banding and visual issues when shooting in bad lighting. The result? Photos that look a whole heck of a lot like they were taken on a Pixel 2. That's a good thing, and not too surprising given the hardware similarities — but I suppose I was expecting some sort of revolution in photo quality for some reason. In reality, when you're at the top of the heap already it's tough to make a dramatic improvement. Photos from the Pixel 3 perfectly walk the line between having eye-catching colors and being accurate. They're a great representation of what you want the scene to look like, but without going overboard with a typical "HDR" look. Photos aren't notably better than the Pixel 2 — then again that still makes this the best camera available today. Like the Pixel 2 you can notice some grain and texture when you zoom in and check out the details — but that's part of what makes the photos look so lifelike and realistic when viewed at full size. They don't look artificially smoothed, fake or synthetically enhanced; so although it may not create impressively tack-sharp details, I don't at all feel that takes away from the quality of the images when viewed at normal sizes. The Pixel 3 is astonishingly good in a variety of lighting situations, somehow retaining detail and colors without much light to work with. It once again isn't as sharp and smooth in low light as the Galaxy Note 9, but it isn't particularly noisy either — there's just enough texture here so that flat surfaces and edges look real rather than artificially constructed. In other words, low-light shots on the Pixel 3 have the same characteristics, qualities and colors as daylight shots — which is an impressive bit of consistency. And this evaluation comes before Google's new "Night Sight" feature is available, which is coming a few weeks after launch and promises to be able to bring out tons of light in dark scenes without a quality drop. I had to use tap-to-focus to increase the exposure on photos with a wide range of brightness across the scene, because the HDR+ processing just didn't always pull out the kind of brightness I wanted when I just point and shoot. Now and then you get a shot that's downright bland — but you don't ever get a bad photo that's blurry or grainy beyond use. The quality floor is just so high on this camera that even the subpar shots are of above-average quality for a smartphone. Google's overcoming its lack of a secondary telephoto camera with a new digital zoom system called "Super Res Zoom." When you zoom, advanced processing collects and lays together several frames to make up for the lost resolution. In practice, it works really well at 2X and 4X zoom — 2X, in particular, looks nearly as good as the full frame; and 4X looks more like 2X used to. This isn't going to make you confident that you can go digitally zooming all the time, because you do lose quality, but it effectively matches what you get out of other companies' dedicated telephoto cameras — particularly in poor lighting where those cameras often just digitally zoom on the main sensor anyway. Top Shot and Super Res Zoom aren't features you need to know by name in order to use and enjoy regularly. Motion Photos make their return on the Pixel 3, and a new feature called "Top Shot" is a good reason to turn them back on. With Motion Photos enabled, the Pixel 3's camera will now look at the buffer of frames before and after the moment you hit the shutter button to find alternate photos that may actually look better. This is a feature that really shines when you're taking pictures of people or animals — the rest of the time, it just generates the annoyance of taking lots of unnecessary Motion Photos. Setting the camera to "Motion auto" is a good middle ground if you often take photos of moving subjects, because Top Shot really is useful in those situations. The only thing I can find that's actually a detriment to the Pixel 3 camera experience is the inexplicable app slowdowns. I know Google's doing some pretty darn amazing processing and lots of heavy lifting, and that's a tough amount of work to handle. But the camera app still manages to bog down a phone with a Snapdragon 845 and a dedicated Pixel Visual Core image processor. To be clear, the camera isn't consistently slow — it's typically very fast — but from time to time it stutters or fails to save images, or takes multiple seconds to hop from the viewfinder to gallery. In my experience Samsung's camera app is far faster and more consistent — Google's been fighting this slow camera app problem since the old Nexus days. It has to figure out how to get rid of these bugs, because it's the final piece of this camera puzzle. Unlike the rear camera, Google changed quite a bit about the selfie experience — despite the fact that the Pixel 2 was already excellent. The main camera is a new 8MP sensor with auto focus and an f/1.8 lens, which in itself is already an upgrade. And it's supported by a second 8MP sensor behind an f/2.2 wide-angle lens — that gives you options for group selfies and also improved portrait mode shots. Google's also applying really good lens distortion fixes for the wide-angle shots so you don't look like you have a super-wide face. Selfies with the Pixel 3 are, well, fantastic. Auto focus is a massive help to make sure your face is crisp, and there's just an immense amount of detail available rather than any sort of weird beautification smoothing. Portrait mode selfies are also great ... except when things go wonky with the algorithm, and those flaws really stick out to the point where you'll want to retake the shot. Still, this is comfortably the best selfie shooter I've used. Google preempted itself with the launch of Android 9 Pie weeks before its hardware was announced. Pie on the Pixel 3 hasn't changed much from what you can use today on the Pixel and Pixel 2, but that's just fine with me — Pie is a really great version of the operating system. The biggest addition Google is likely to promote and advertise is a new "call screen" feature built into the dialer. When a call comes in, you now have the option to "screen" the call with a single touch. The caller receives an automated response from a digital voice asking them for more information about why they're calling. That response is automatically transcribed (locally, not online) to text and shown on your screen. The whole suite of Digital Wellbeing features are also leaving beta with the launch of the Pixel 3 and 3 XL. This suite is highlighted by a new dashboard that gives you information on your phone and app usage throughout the day, and gives you simple tools to help limit it if you want. It also has neat little touches like "Wind Down" to grey out the screen to make it easier to get to sleep at night, "Flip to Shhh" to quickly put your phone in DND when it's face down, and of course simple(r) controls for notifications throughout the operating system. The whole idea of "Digital Wellbeing" is apparent across Android 9 Pie in just how simple it is, and how it easily scales to be useful for the most novice and most advanced users out there. Google's take on Android continues to be my personal choice — it's a joy to use every day. It may seem overly restrictive and basic for someone who has leveraged Samsung's software to its fullest for multiple years, I generally enjoy the simplicity of Google's approach to Android. The design is soft and inviting, with pops of color and great use of contrasting colors with various levels of opacity throughout the interface. It's also just downright simple to understand how to do all of the basics, and if you're set into the Google ecosystem of products the transition to a Pixel is a treat. System performance has also been exceptional; no matter what I threw at the Pixel 3 it handled it without issue. We know Google puts an emphasis on keeping animations and interactions smooth with a high frame rate, and it shows here. I understand the worries about having "only" 4GB of RAM, and have experienced one oddity of Pocket Casts shutting down when I took several HDR+ photos and tried to review them, but I don't think this will be any sort of issue that will affect users. I sure would've preferred to have 6GB for the future, but Google's committed to supporting the Pixel 3 with software updates for three years regardless — that's Google's problem to sort out, not the phone buyer's. Now, to save the most important part for last: battery life. This is one of the areas where I need to break things down between the two sizes, because there's roughly a 17% larger battery (3430mAh) in the Pixel 3 XL even though the Pixel 3 added capacity (up to 2915mAh) compared to last year. But there's a common theme for both: battery life is good, not great. You'll get a full day of use in most cases. But nothing more. Whichever phone I'm using, my usage is about the same. I spend a good amount of time on Wi-Fi throughout the day, with at least a couple hours using Bluetooth headphones listening to both Pocket Casts and YouTube Music. Ambient Display is turned on, I let automatic brightness change on its own, and all of my various email and social accounts are syncing. I don't use Battery Saver mode until it turns on automatically at 15%. Typically, I have between 3 and 4 hours of "screen on" usage. With the Pixel 3 XL, this type of use yielded between 16 and 17 hours of battery life to reach roughly the 5% mark, which aligns with what I can get out of phones like the Galaxy S9+ and LG V40. That means as I start to wind down in the evening, I'm getting a little worried about battery life if I expect to do much more with my phone than sit around and check out a few apps. It doesn't give me a whole lot of wiggle room if I end up having a late night out, so if I was leaving the house for a while after dinnertime I would absolutely give it a quick charge just to make sure. The Pixel 3 unsurprisingly offers a bit less. With the same usage, I averaged around 14 to 15 hours of usage, which starts to get to the point where I wouldn't trust the phone to make it through a heavy work or travel day. Just like the 3 XL, if I use the 3 moderately and don't spend a ton of time taking photos or streaming, I'll head to bed with plenty left in the tank — these phones barely use any battery when they're not in use. The problem is when you start to get into them hard, the battery falls off quickly. Battery life is neither a feature or a problem — it's just average. As someone who spent a large portion of the last year using both the Pixel 2 and 2 XL, this doesn't surprise me in the least. They exhibited the exact same battery life characteristics. Both were capable of getting through a day, but would drain quickly under heavy use — and neither one was a leader for battery life in its segment. One downside of doing a review with just 6 days spent with these phones is that Android 9 Pie's new "Adaptive Battery" management hasn't had quite enough time to set in and really optimize apps to maximize battery life. Presumably, battery life will improve over the next week or so as the phones settle in — but right now the battery life is good, but not impressive. The Pixel 3 in particular is just weak enough to feel like it's a trade-off for getting that desirable smaller form factor. The Pixel 3 XL isn't a battery champion like the Galaxy Note 9, but it offers enough longevity to not worry about battery life on most days — that's just fine for me. It's absolutely true that the Pixel 3 and 3 XL aren't huge upgrades over the Pixel 2 series. But like so many other manufacturers, Google isn't really trying to court people who already own its phone from last year — that's extra applicable to Google, which has a relatively small base of users. There's far more market potential in getting people over from Samsung, and even Apple, phones — and for these people, the Pixel 3 and 3 XL look amazing. This is a perfect example of a phone being greater than the sum of its parts. The Pixel 3 and 3 XL aren't about giving you every feature under the sun or trying to win every spec battle — these phones are a perfect example of being greater than the sum of their parts. They have all of the specs they need, and exceptional software performance regardless. The software is simple to use with tons of nice-to-have features and nothing to get in your way or frustrate you. It also comes with the peace of mind of knowing Google will send out software updates for the next three years. Google's hardware isn't flashy, but it's efficient and aims to provide an above-average experience while generally getting out of the way. It's solid, efficient and classy — and now, the phones have screens befitting the price. You also get great stereo speakers, wireless charging and average battery life. Then there are the cameras, which are best-in-class on the back and front. Taking photos with the Pixel 3 is effortless and the quality is exceptional. I have no hesitation recommending the Pixel 3 or Pixel 3 XL to anyone who asks what the best Android phone is. $799 is a lot to ask for the relatively small Pixel 3, but it stands among very few phones that offer this quality of hardware and components in a manageable size — making it a fantastic phone for anyone who has resisted the call of larger phones. For those who haven't, the $899 Pixel 3 XL is a little tougher of a sell. The Galaxy Note 9, LG V40 and others are enticing options with big screens at similar prices — but still, Google's qualities shine, and this is a fantastic phone that can compete with anything else out there. I will have no hesitation in recommending the Pixel 3 or Pixel 3 XL to anyone who asks me what the best Android phone is. 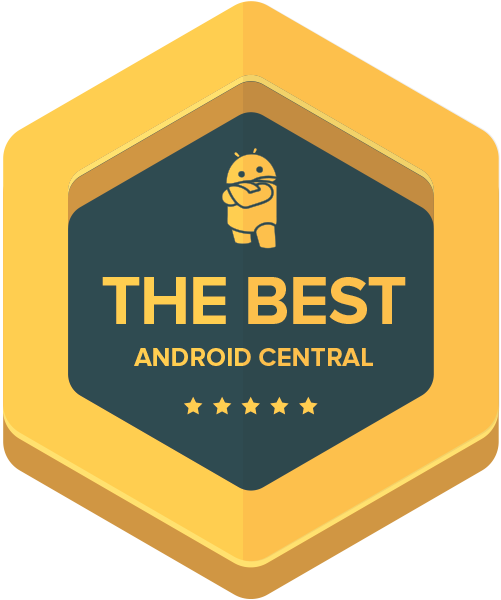 I can recommend them without qualms or caveats, because they're just so good at doing the things everyone wants from a modern smartphone — whether they're a novice or an expert — without show-stopping issues, problems, or tricks to learn. That's the beauty of buying a Google Pixel.